Near the end of the 2014 summer I ran at Blackhawk Farms Raceway in Northern Illinois. 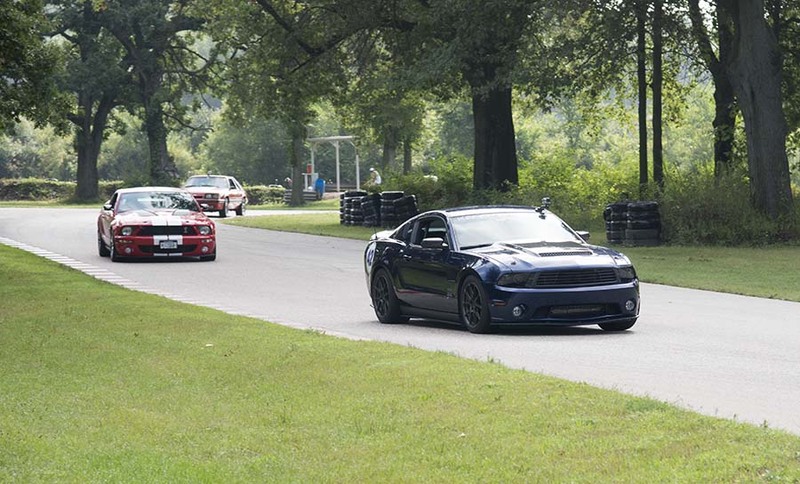 The North Woods Shelby club put on an HPDE High Performance Driving Event. This was my first time at BFR and I enjoyed it a lot. The course is on the small side and in the shape of a capital letter B. The curvy part will have your arms sore by the end of the day. My day was cut short due to a mechanical issue. 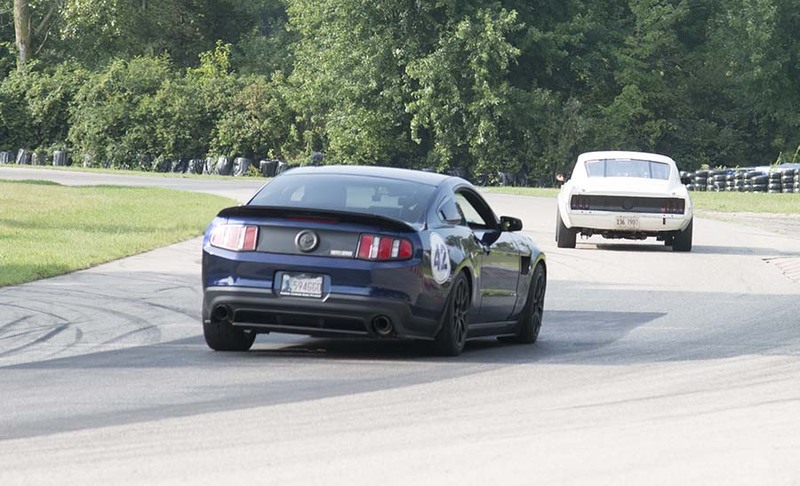 My best time of the day was 1:26 the SCCA record for a Porshe 944 is 1:24 but the Mustang record is 1:15. So hopefully next year I can improve on my time. The parts that help me do so well on my first visit was the Kenny Brown AGS 4.0 System, the Tremec T-56 Transmission, the Strange Engineering Rear Floater, and the Wilwood Brakes, as well as the ProCharger Supercharger the Fluidyne Radiator and the Forgline wheels with Nitto Tires. Here is a pic at turn 5. My track day video. Here are a few laps. One is my fast lap. Have a watch and I hope to see you out there sometime.